You're not alone. 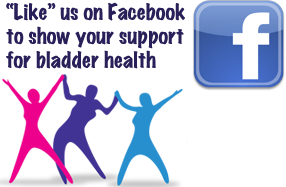 Most people feel uncomfortable discussing bladder control problems with their friends, family and even their doctor. Join other women who are looking for a way to take back control of their bladders - attend a Girls' Time Out event near you. TIME OUT! 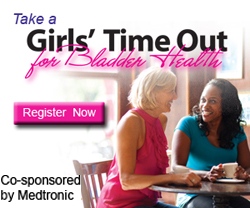 PUT THE SPOTLIGHT ON A COMMON AND EMBARRASSING WOMEN'S HEALTH ISSUE WITH "GIRLS' TIME OUT" EVENTS ACROSS THE U.S.
Read the news release for more information about National Bladder Health Awareness Month and its sponsors. 1 Serels S. The wet patient: understanding patients with overactive bladder and incontinence. Curr Med Res Opin. 2004; 20(6):791-801. 2 Stewart WF, Van Rooyen JB, Cundiff GW et al. Prevalence and burden of overactive bladder in the United States. World J Urol. 2003; 20:327-36. 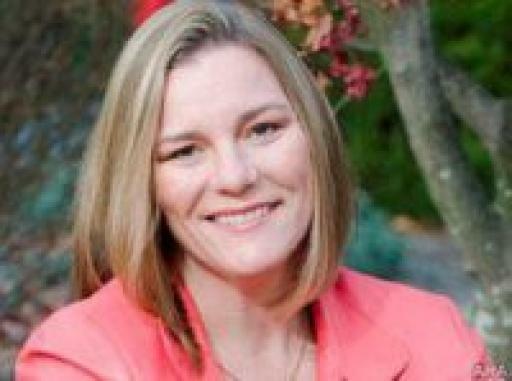 As quoted in Video: "The average person with incontinence suffers four to six years before seeking medical attention." Muller N. What Americans Understand and How they are Affected by Bladder Control Problems: Highlights of Recent Nationwide Consumer Research. Urologic Nursing. 2005:25(2): 109-115.